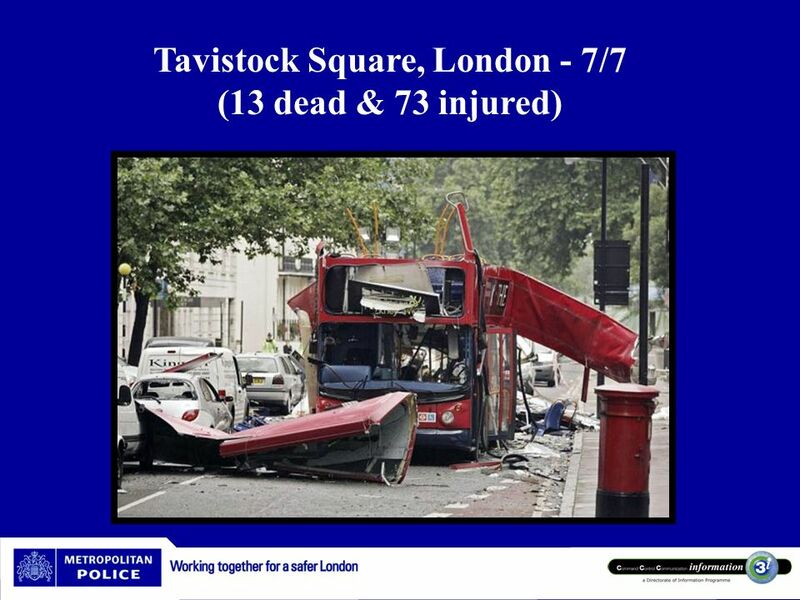 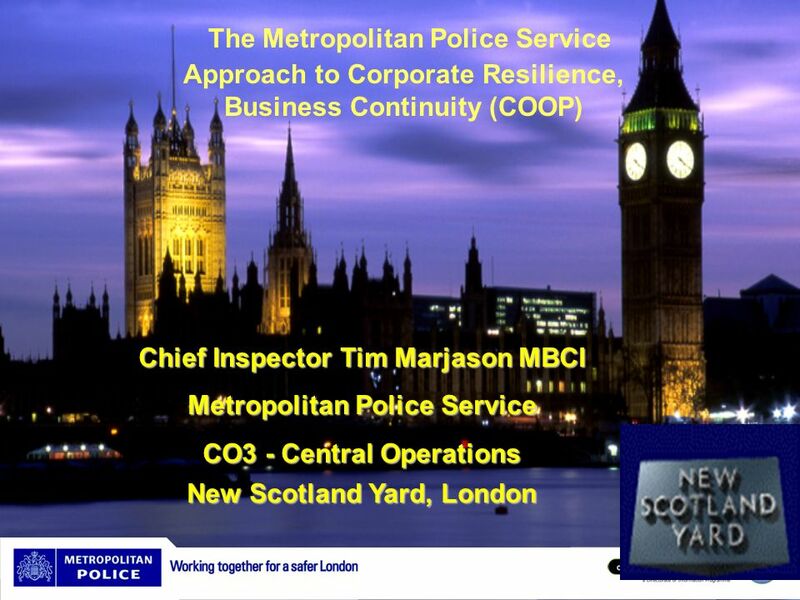 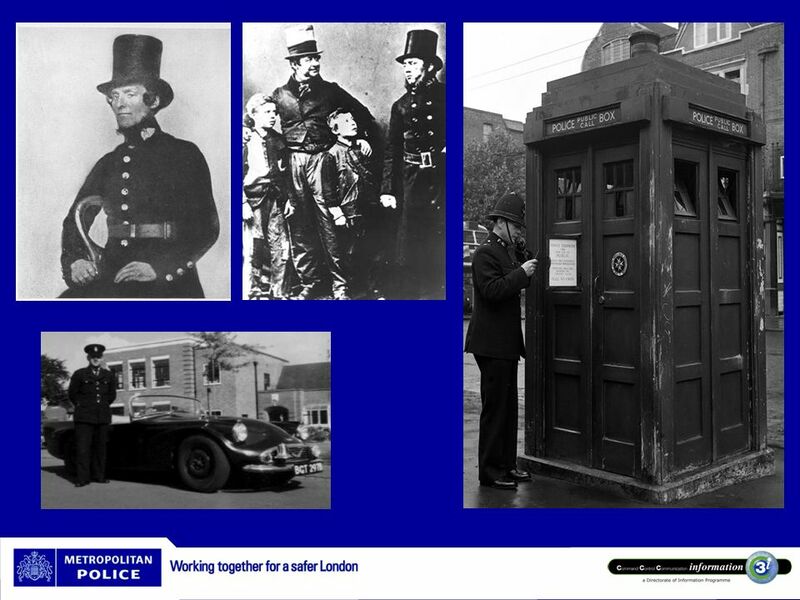 Chief Inspector Tim Marjason MBCI Metropolitan Police Service CO3 - Central Operations New Scotland Yard, London Simon Moving onto the response to the events of 7th July it’s worth briefly reflecting on what was happening in London around that time. 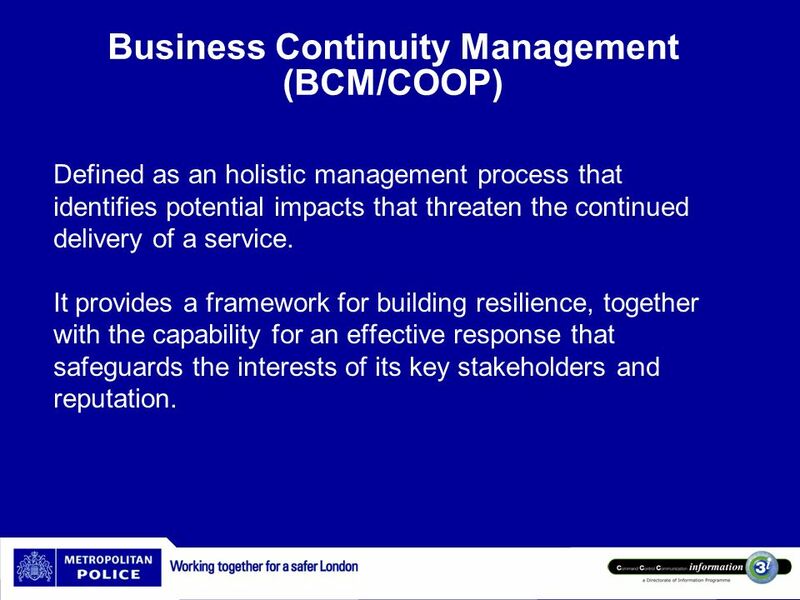 Defined as an holistic management process that identifies potential impacts that threaten the continued delivery of a service. 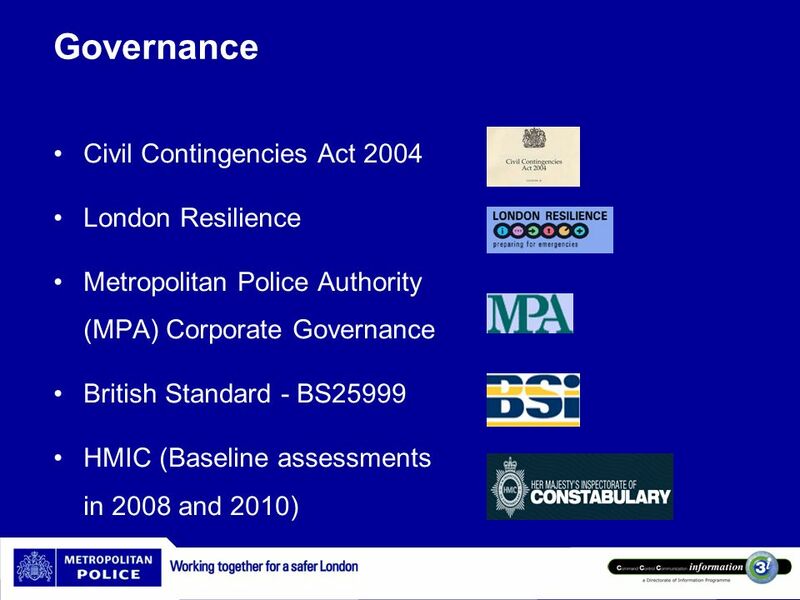 It provides a framework for building resilience, together with the capability for an effective response that safeguards the interests of its key stakeholders and reputation. 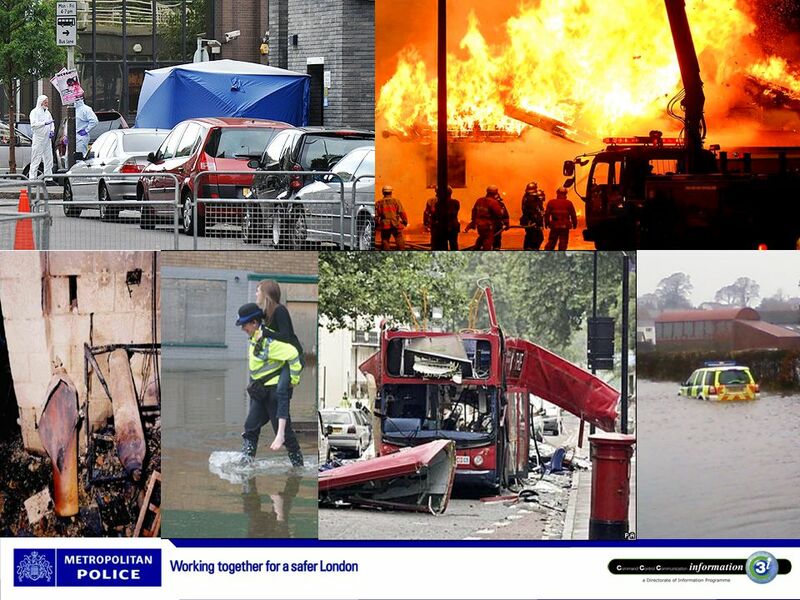 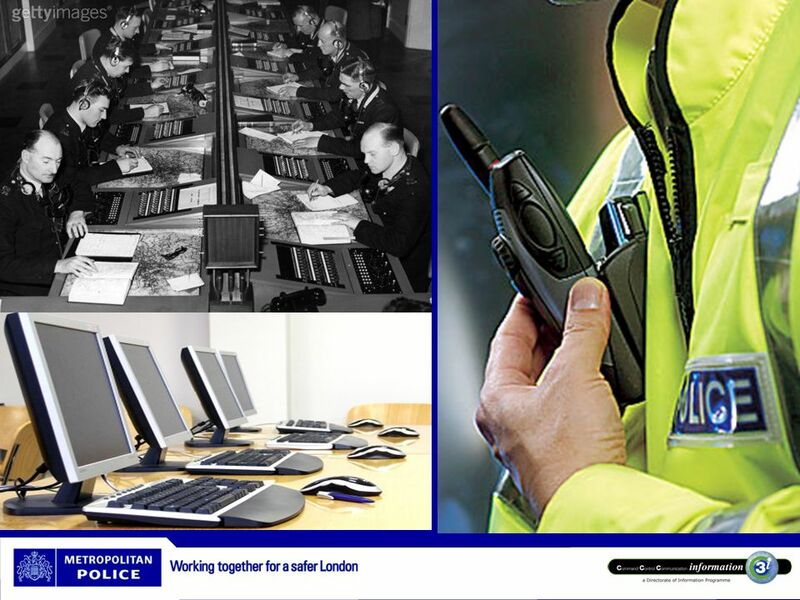 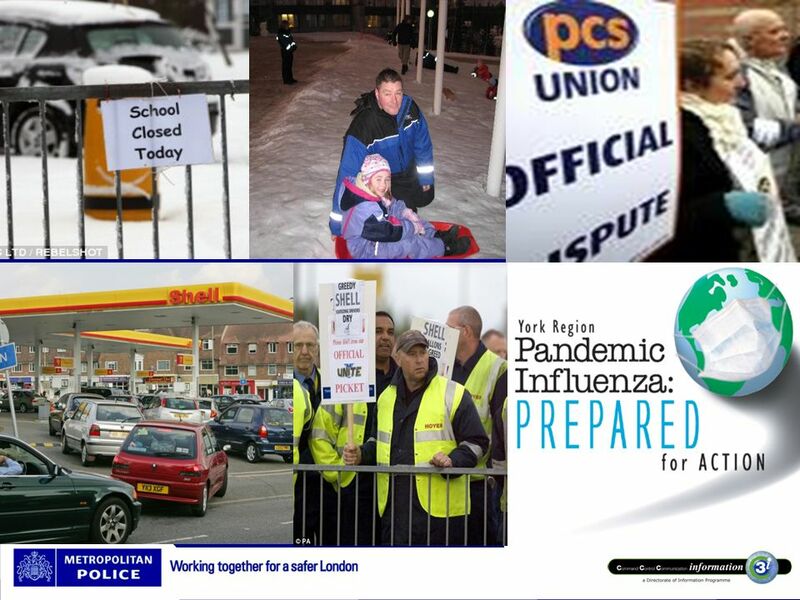 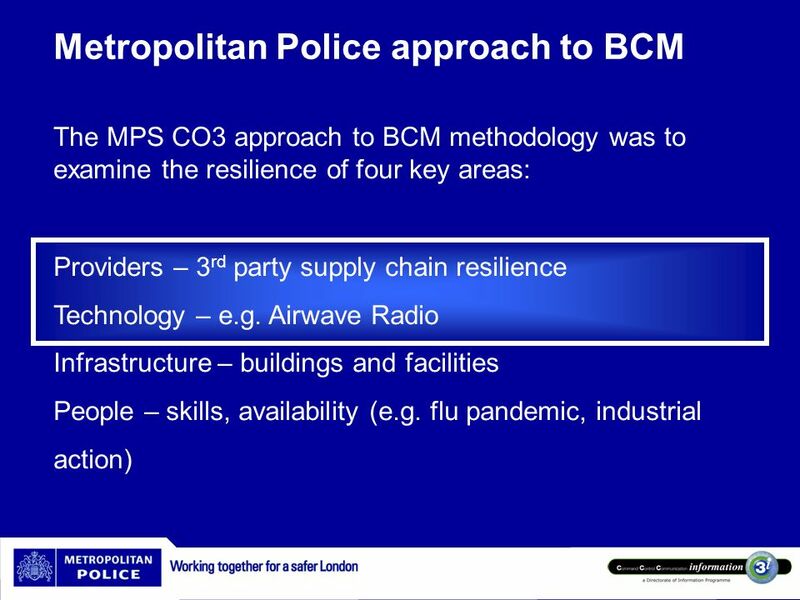 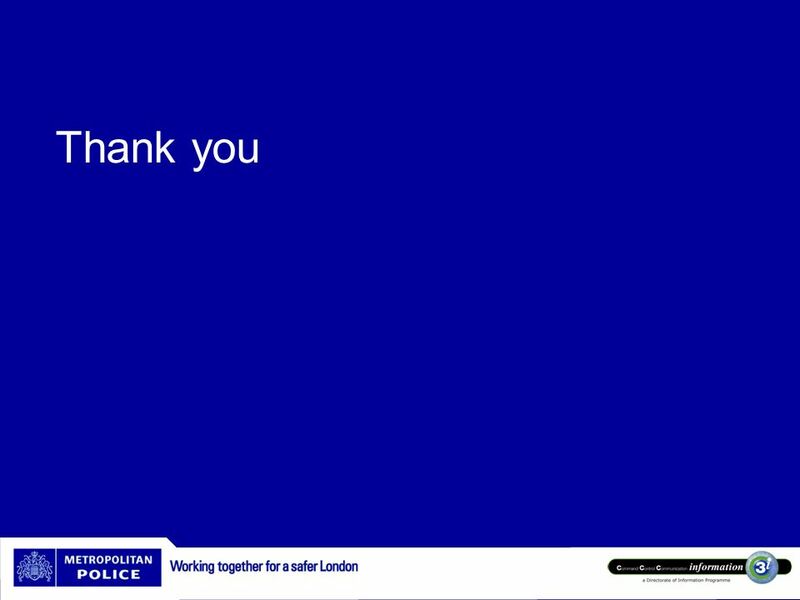 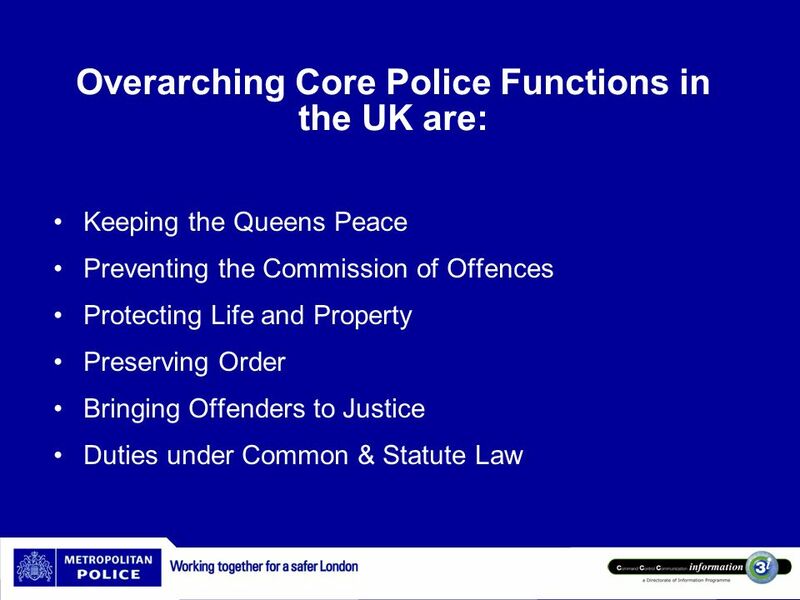 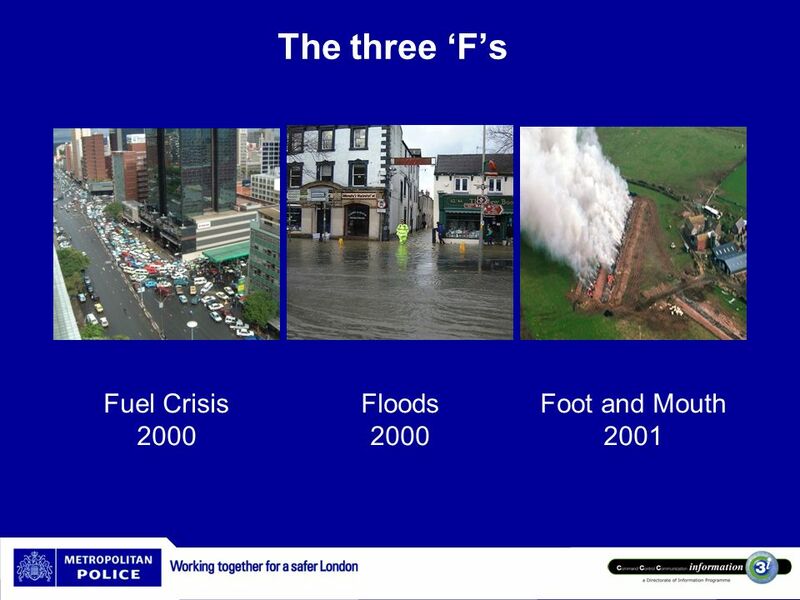 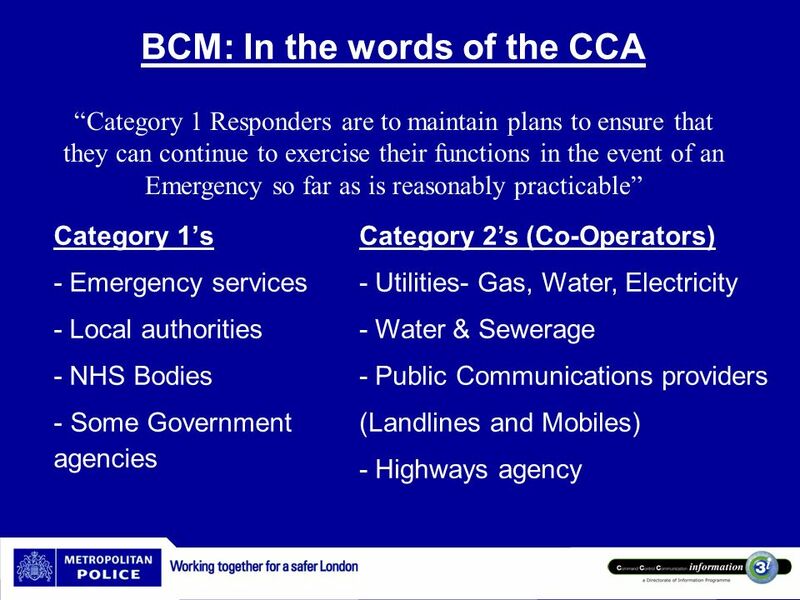 The Metropolitan Police Service is the largest Category 1 responder in the UK: - “Category 1 Responders are to maintain plans to ensure that they can continue to exercise their functions in the event of an Emergency so far as is reasonably practicable”. 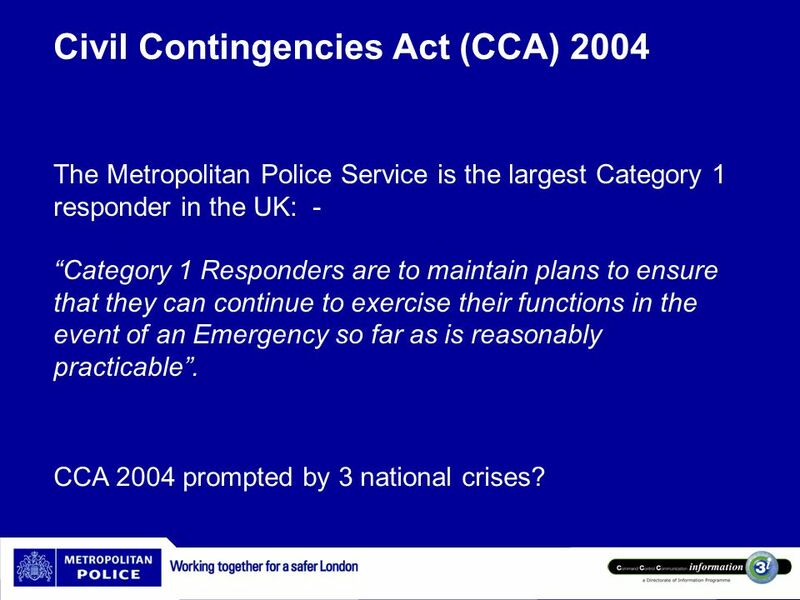 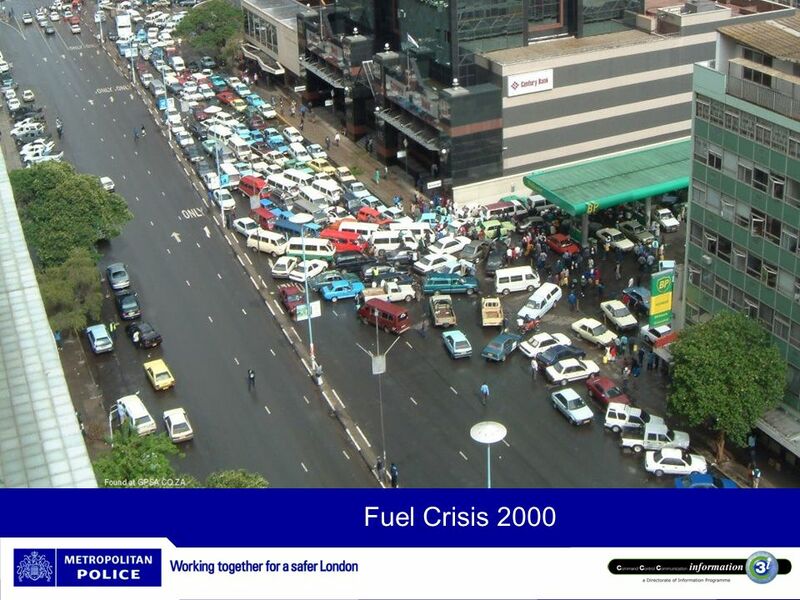 CCA 2004 prompted by 3 national crises? 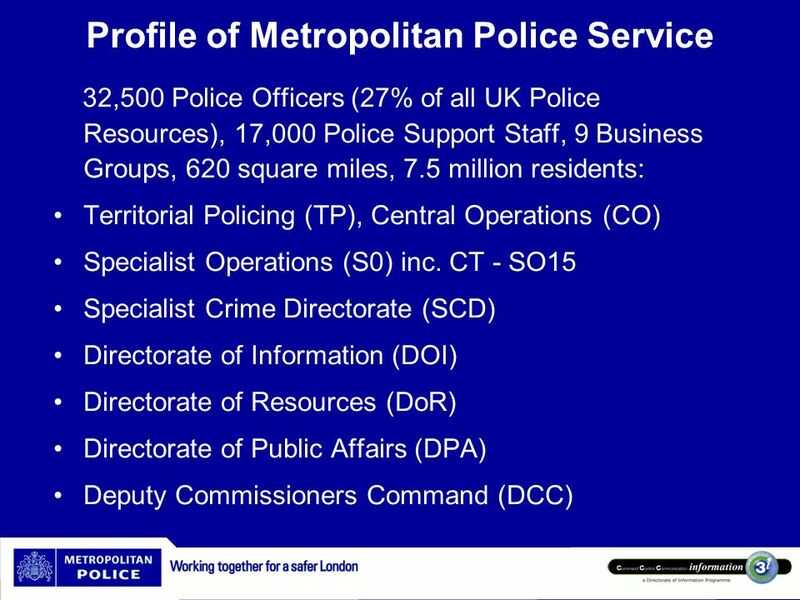 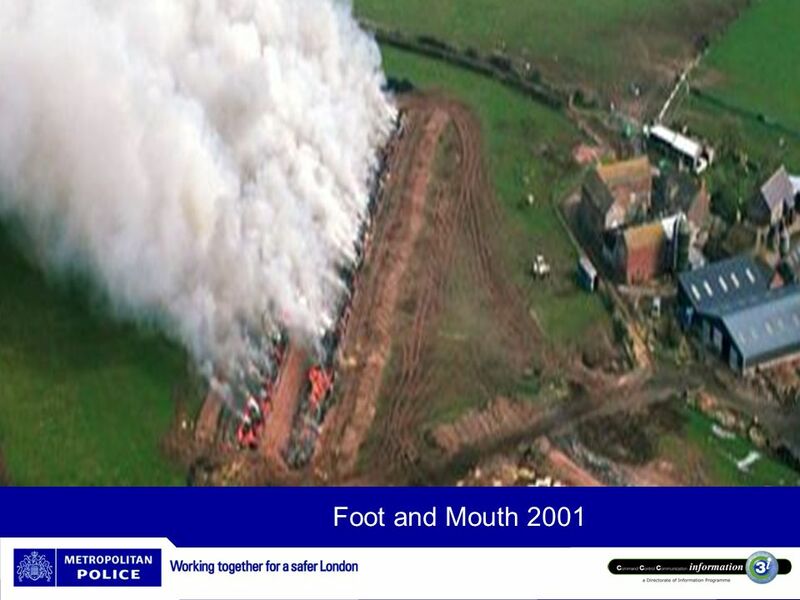 Download ppt "Chief Inspector Tim Marjason MBCI Metropolitan Police Service"
CAF and Lead Professional in Derby Justine Gibling CAF/LP Project Manager. 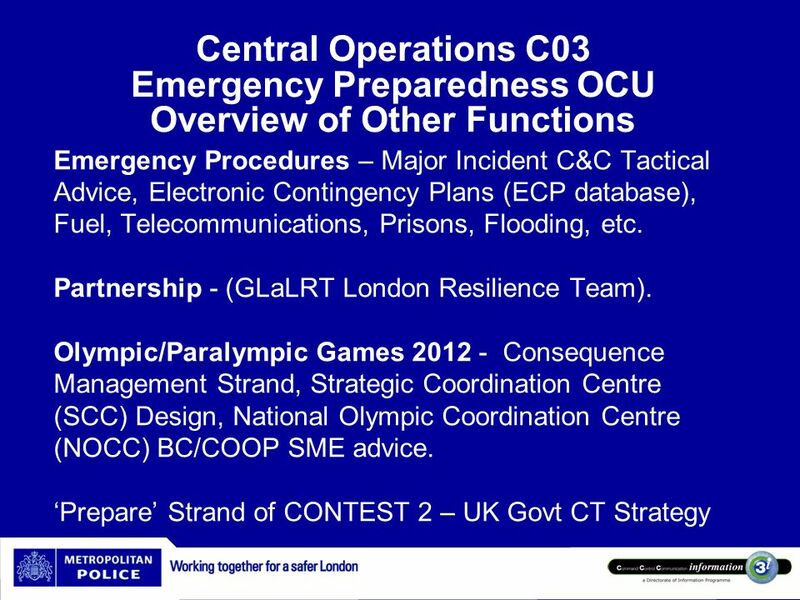 25th - 26 th February Sadiyat Island Abu Dhabi Title of the Presentation Dr Campbell McCafferty CBE Director Civil Contingencies Secretariat Feb 2014 UK. 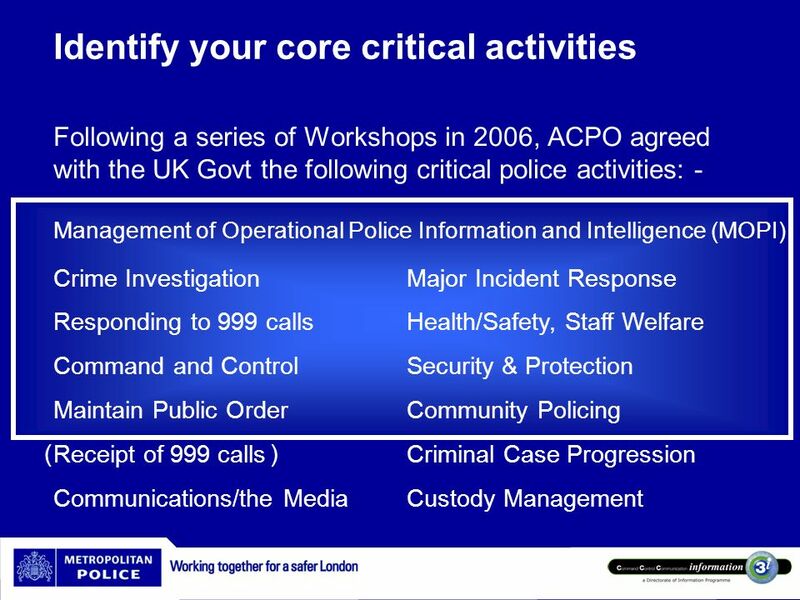 Public private co-operation, working with authorities to safeguard your organisation 28 February 2008 Rian van Schalkwyk Manager, CDEM Group Office Wellington. 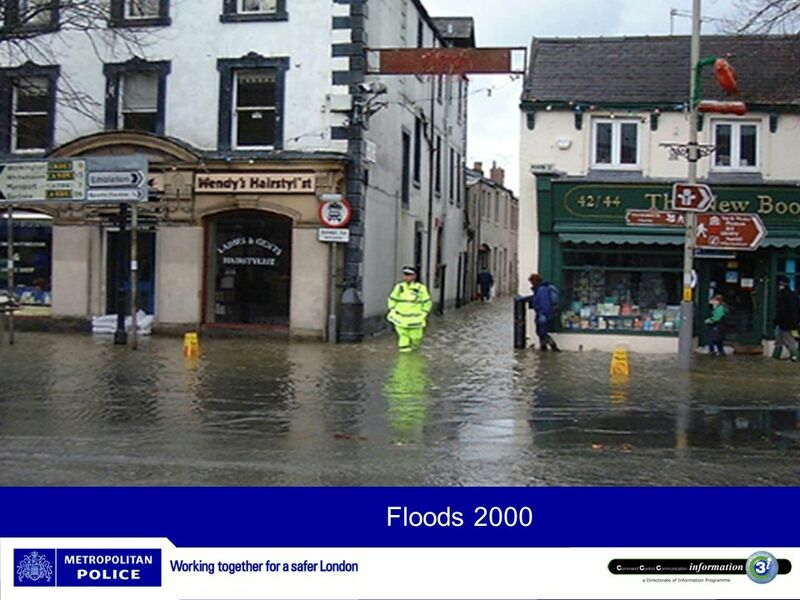 Statutory Drivers for Adaptation Explaining and reinforcing the statutory duties on Local Planning Authorities to address climate change adaptation in. 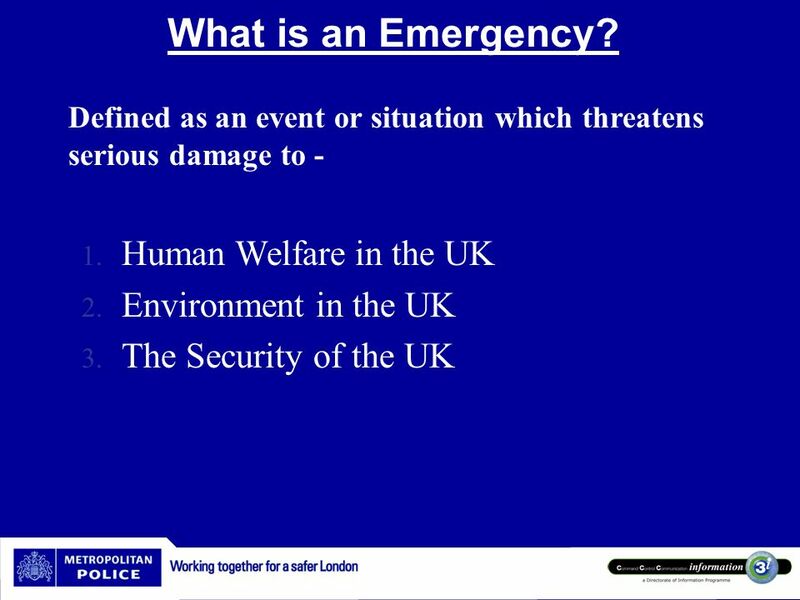 How to Handle an Emergency Peter Ward Regional Resilience Director Government Office East Midlands. 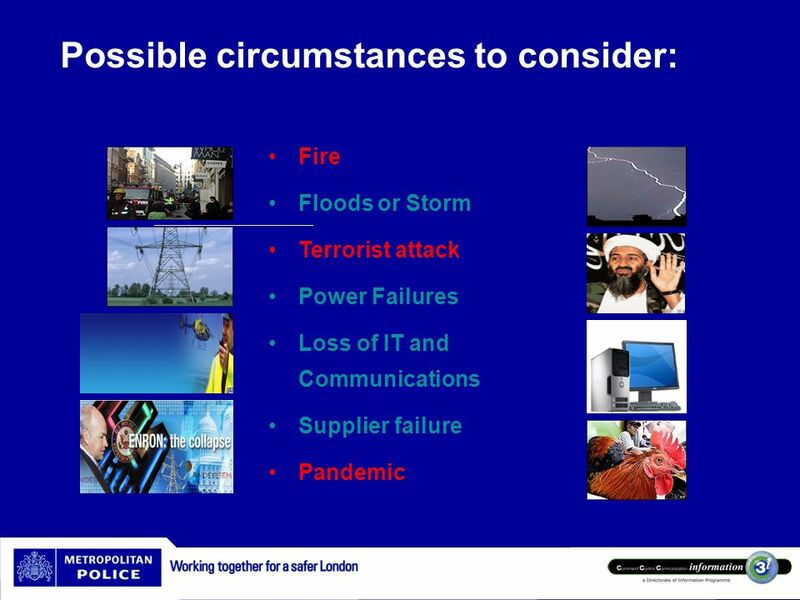 Thematic inspection on the welfare of vulnerable people in police custody Heather Hurford Lead Inspector. 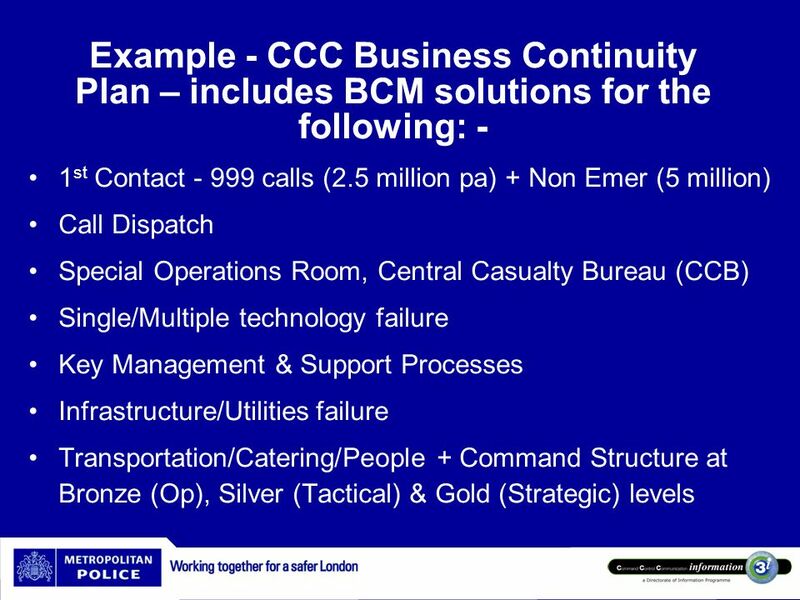 Disaster Preparedness I Lessons Learned Don Hall Thomson Prometric 2006 Annual ConferenceAlexandria, Virginia Council on Licensure, Enforcement and Regulation. 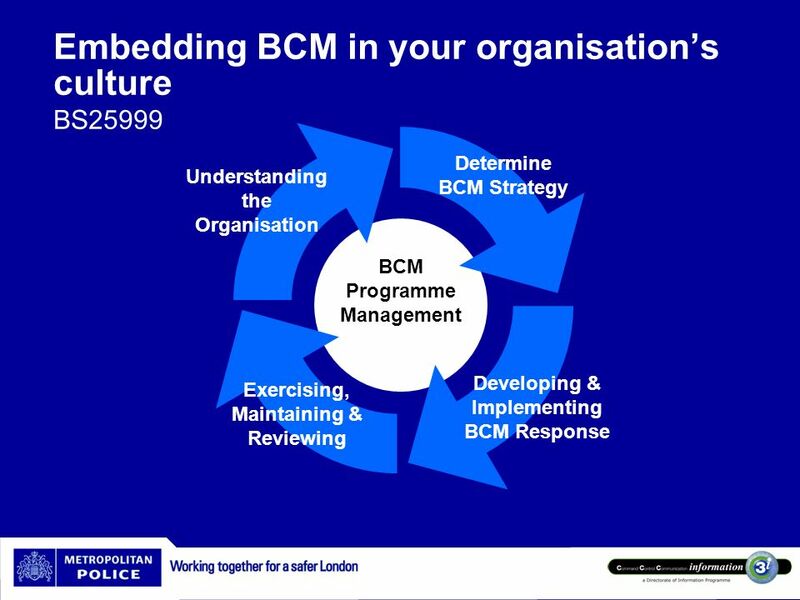 A briefing about your BCM Programme. 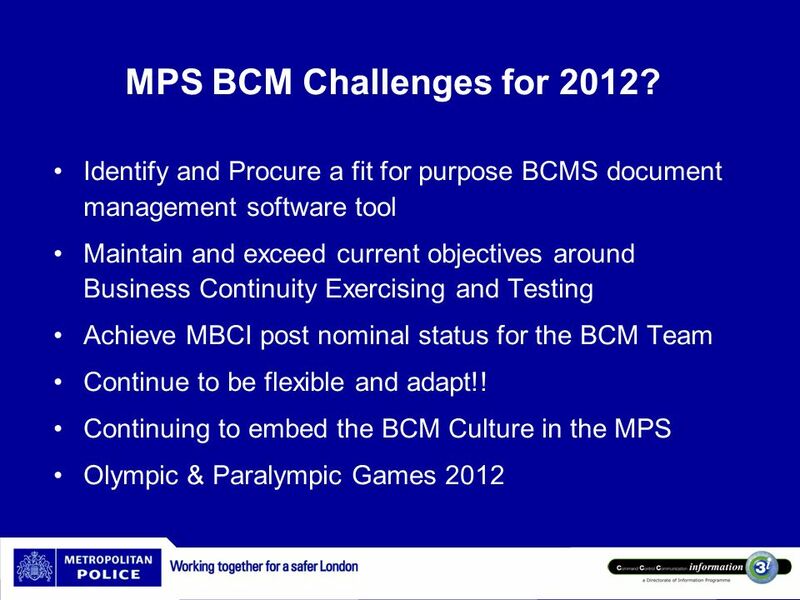  Why BCM  Benefits of BCM  Programme Objectives  Methodology  Tasks & Deliverables Programme Overview. 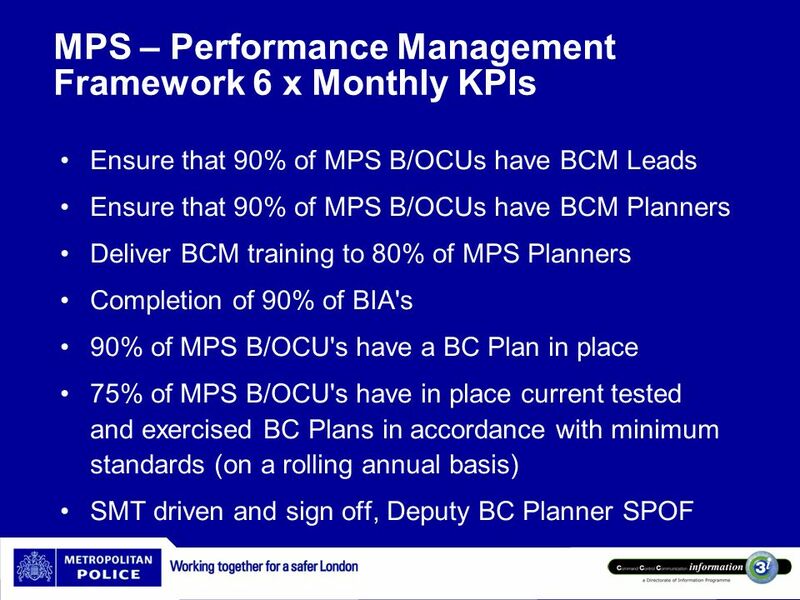 ACPOS Scottish Policing Assessment Setting the Strategy Research and Risk Assessment. 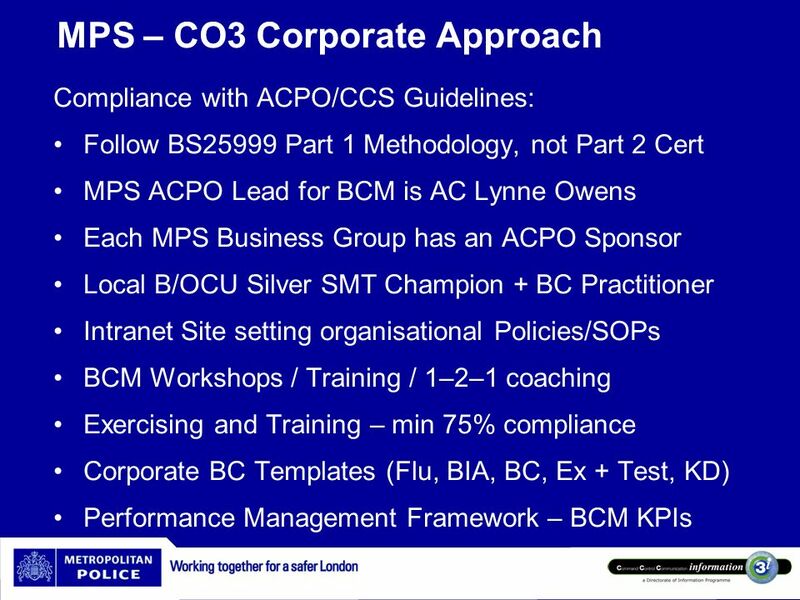 Scrutiny of Local Strategic Partnerships Effective Overview and Scrutiny.